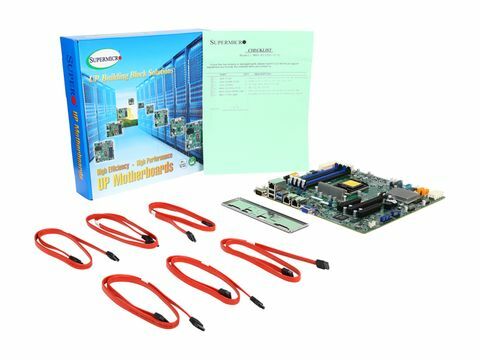 Pros: I have used more than 15 of these boards in different Server builds for different applications. Never had one fail or require any customer support. 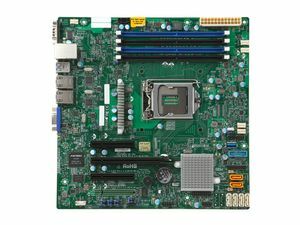 In the past I have had other Supermicro boards go south on me but the RMA was very easy and fast. Other Thoughts: It is sad to see people with limited experience leaving negative reviews for great products. 3) Even well after Kaby Lake support was announced, it ships with a old BIOS rev which supports Skylake only, so if you want to use a Kaby Lake CPU, you need to jump through some hoops. Come on, Supermicro, fix this at the factory. Again, I got past this by setting the emergency restore jumping and flashing the BIOS. It's a challenge for someone even of advanced technical skill to do, because you have to figure out the steps. 4) So, it just magically stopped working after about 25 days of service. Since I spent the first month just figuring out all of the above, I only was able to put it into 24/7 service after Newegg's return policy had expired. 25 days later, it died. Just died. Not refused to POST, just died. No power LEDs, nothing. 5) So, you say, just file a warranty claim. Well, I did, and Supermicro is saying it's physically damaged and doesn't want to cover the warranty. That's just unfair, *since it was just fine when I mailed it* and I mailed it using all the padding and insurance money could buy (including remembering to affix the CPU socket cap). - does not care enough about end user/consumer customers such as myself. I'm sure if I were a big company the outcome would be different. Anyway, I am pursuing the matter with Newegg, to pressure Supermicro into fixing this. THANK YOU NEWEGG for caring enough to help. Supermicro, YOUR SERVICE STINKS. We recently needed to utilize a case that called for a 120mm fan and the fan would drop below 500 RPM. This would case the motherboard to spool the fan up and everytime it hit 500 RPM. There is a way to correct it but it would be nice to have in the IPMI web UI. Other Thoughts: Most common uses: Remote office server (RODC with print/file services), Asterisk PBX, any small Linux/BSD role. Cons: SuperMicro decided to disable sata hot plug support... And I don't mean a setting in the bios that is off by default. I am talking about no setting at all! That is ridiculous... And of course there is no big sticker announcing what they have done. The only way you know is that the manual and bios just don't mention it. I guess I'll have to buy the slightly more expensive X11SSH instead next time to get a feature that every $29.99 asrock board has. Actually - this has me so ticked off, I'm thinking of not buying supermicro anymore at all. Can you imagine going to buy a car and then finding out when you take delivery that while the car has wipers and everything - the lever to turn on the wipers is optional equipment? Seriously - this is ridiculous. Pros: The board is easy to find RAM for if you use the Crucial.com compatibility checker. Most Supermicro motherboards recommend some form of Micron memory, which for consumers is the Crucial brand. Using Crucial's tool, it found at least 8 sets of ram compatible, and crucial.com ship worldwide. I had initial trouble finding ram, being in Australia, but ended up easily finding some with the tool. Supermicro's ram documentation is a little cryptic with product codes sometimes. Pros: If you could find memory, this would be an otherwise awesome motherboard. 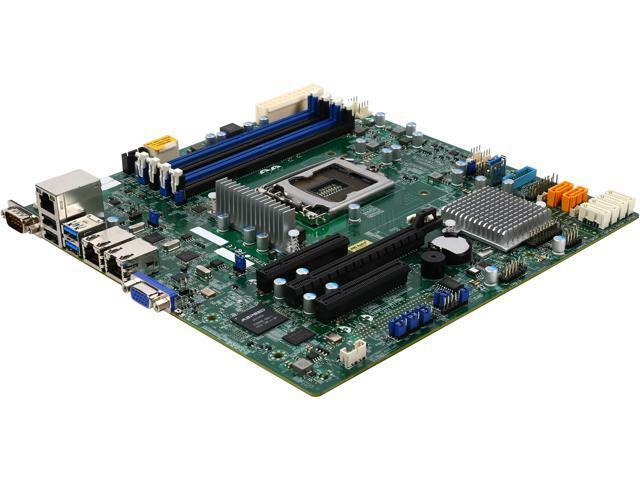 Cons: I got this motherboard because of the ECC memory support and the E3 v5. However, finding RAM that will work on this system is very tough. I bought ECC DDR4, but it was registered (buffered). That won't work. It has to be ECC DD4 unregistered (UDIMM). As it turns out, DDR4 ECC UDIMMs are rare and expensive. Newegg doesn't even sell it (as of April 2016), and it's only available through the marketplace. To ship overnight was $50 (for a pair of DIMMs!!) for the correct type. I'm not finding much luck on other places either. They don't let you return these motherboards, either. At least I can return the RAM for most of my money back. 1 out of 13 people found this review helpful. Did you?